Dallas SUV Rental Services Transportation provides the largest options for Cadillac SUV's and Suburban SUV's. Widely used for Airport Transports, Black Car Service, Weddings, and every other event type. From 6-7 passenger capacity, SUV's offer an inexpensive luxury option for your transportation needs. Check out all the available service options for your next event. Check our suggestions for Wedding venues in Dallas Tx, Prom venues in Dalas Tx, Bachelorette Party Venues in Dallas Tx, night out in Dallas Tx, Dine In Dallas Tx. Book a SUV with your own Chauffeur for your next Anniversary celebration in Dallas Texas. SUV's are a great option for Bachelor Parties. With up to 7 passengers, good leg room and your own personal driver so you can enjoy the fun. Black SUV rentals for your Bachelorette party is like your personal Black Car Service in Dallas. Besides Limos, SUV's are the next most requested vehicle for Dallas Brewery Tours for small groups. Only thing to worry about is how much fun you are going to have when you book your personal SUV Concert Service. Designated drivers come complimentary with all SUV Rental Services. 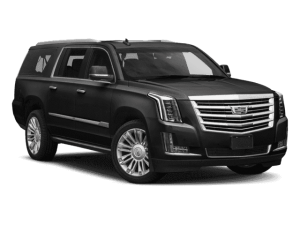 Black Cadillac SUV's and Suburban SUV's available for Funerals, Wakes and Memorial Services. Luxurious and inexpensive transportation option for those looking to save money but enjoy the experience for your next High School Homecoming. Perfect for 3 couples wanting to ride in style and save money for your Dallas High School Proms. SUV's can fit up to 7 passengers and storage space for coolers and anything else you may need for the next Tailgate party. Tour the scenery and downtown Dallas in luxury in one of our SUV's. Take in the unique tastes of flavors on your Dallas Wine Tasting Tour in a SUV. Consider a White or Black Luxury SUV for your next Wedding Transportation, Reception Shuttles and Wedding Getaway Cars.